Can you fax from International countries to South Africa? How do I send a fax to South Africa? 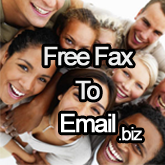 Yes, International countries can fax South Africa using the 086 fax to email service. When sending faxes from International countries to South Africa, the sender needs to enter their outgoing code, then South Africa's code (which is 27) at the beginning of the fax number. The zero at the beginning of the number falls away.